To tell you the ‘cost’ or ‘average cost’ without the reasons behind how that cost is actually made is very misleading. We are not talking about the difference between bare bones and rolls Royce services, as most people will only read the promotional blurb on a brochure or website and they might all seem to do the same thing. But there is a vast variance in the actual quality of the walk your dog gets. Cut price dog walking usually runs at between $20 and $30 per hour. And reasonable fees range between $30 to $40 per hour off lead dog walking.But the real cost means the real fee should actually be closer to $50 to $60 per hour – the only reason this is not charged, is because there are so many people undercutting the real price of professional dog walking. This article is different from many others, because I am a fulltime professional dog walker. I am not going to sugar coat this information, but instead give you insights rarely found on any other site. Some site will say you want to tire your dog out, so it’s not barking and digging, so its placated. But if that was completely true, you might be one of the new breeds of people who are just interested in drugging their dog into submission by using CBD oil or other depressants. SO clearly there is more to it than just making your dog quiet.If you understand dog behaviour, and genuinely care for a dog, you are much more likely to want to find a solution that involves your dog getting socialisation, exercise and a great day out with its own kind. For meeting all of its primal needs and making it HAPPY, not just giving you a placid dog that doesn’t cause human issues, due to boredom etc. For that you want an expert dog walker. 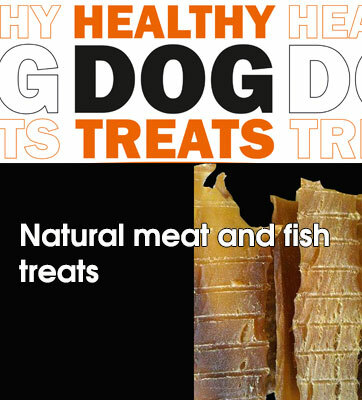 Recently I wrote an article for my healthy dog treats site, and in it I highlighted why people by second rate dog food and dog treats from supermarkets, and its clearly because of convenience of picking something up with the weekly bills, regardless of what else is on offer - much higher quality meat based treats, at a very similar price. Sometimes convenience blinds our decision making.The same is true of dog walking options.Very recently a directory service has been blitzing television and other traditional media with jolly ads talking about the convenience of shopping for dog walkers and pet sitters on their directory. Just like picking milk up at the supermarket. Read more: The convenience of dog walking services rise above all else. Winter is once again upon us, and dogs that are healthy enjoy this weather much more than the heat of summer. So even though the days are shorter and it gets darker earlier, even though its wetter and colder ... THIS is truly the average dogs most enjoyable walking weather. And if you don't like it, get yourself a dog walker ! The reason people also don't like walking in this weather, besides the above, is that dogs get dirtier, but please remember they are a dog and they are having fun, so just towel them off if you are braving the parks. That said, much of Australia has been in drought for the last six months, so the dogs being dirty excuse doesn't even hold for much of Australia.If you are cold, rug up. If it rains, wear water proof gear.Dogs are pack animals, need their exercise and socialisation, so if you truly love your dog, get them walked EVERY day and off lead no matter how you manage it or pay for others to do it. NOT all dog trainers follow the draconian thoughts of these primeval trainers. But those high and mighty ones that show great disdain for off lead dog parks, like they are the source of all problems rather than the reality that they are 95% of the time the source of THE SOLUTION - making a brilliant social dog. As these big powerful dogs are often notoriously 'hard to train' by the average novice owner, this kind of company encourages people go get these dogs. its a great business model, but not going to end happily. They also discourage that there should be no banned dog breeds, even if many countries in the world do not accept certain breeds because of propensity for extreme aggression resulting in other dog or human deaths. A documented fact they like to dismiss. 1 THEM: "Hate going to dog parks. I love using the areas near them to prove my obedience. " US : They set out with a negative mind set, and think a dog park is there for them to reinforce their dogs training its "obedience". They have little concept about socialisation (the ability of any dog to meet any other dog and react friendly and socially). 2 THEM: "Weirdly, in the suburb I'm in, there are more reported dog attacks from walking dogs on the street, than there is at off lead dog parks - so its a bit of a bind." US : They think its weird that dogs are social in a dog park?? How weird is this human? When you walk your dog down the street, its going to meet the largest concentration of dogs that have never visited an open space and been off lead, that it ever will. 3 THEM : They say that they are a 'dog walker', "Not a fan of entering a dog park unless it's empty. I generally charge a surcharge if owners really want me to take a dog there. But whether I go or not is still all at my discretion." US - Pity the poor owners and dog who think this "dog walker" is any good. Read more: Why people fear dog parks, some real owner quotes ! I find it horrendous and disgusting that actual dog owners (apparently) are putting out there about dog parks in Melbourne. Dog parks - love them, or hate them. Tell us your experiences? Of course this cult of personality has trained minions that jump at every word they commit to digital blogs, not unlike trained monkeys salivating for praise. The premise seems simple, do you like dog parks, but the background is far more insidious. Some unscrupulous dog trainers have been recently promoting owning the biggest, most powerful dog breeds, even those banned in other countries, under some kind of nationalism clause. The kind of dog that most people will never effectively control. They are promoting this as some kind of self empowerment (own a killer dog for protection) or be a libertarian (the needs of the one outweigh the safety of society). The propaganda is actually there to ensure they have a steady stream of customers. Because if you have a huge powerful dog, untrained with the propensity for killing any animal (not a lot of decimation), then of course training seems like a good idea. There are probably many tech definitions of social dogs but I guess they should all lead to creating a dog that is able to mingle or initiate play or stay away from dogs depending on how the other dogs are acting. Why is important to have a social dog? Well initially dog training and dog socialisation go hand in hand. But after you have trained your dog the basics. Stay, come, sit etc ... then that work is often done. Yes with some breeds you may need refresher course on dog training, but they are not usually a life long task. Dog socialisation is usually done by dogs and opportunity with only slight guidance by the owners. A dog trainer cannot force a dog to feel comfortable with itself or other dogs. 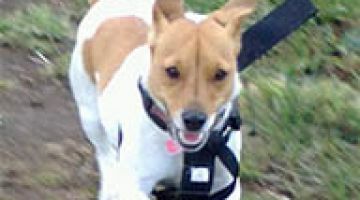 BUT exposure in a good environment (ie plenty of other social 'fun') dogs is the main method that this is accomplished. Read more: How long does it take to make a dog be social? You dont have to be a yoga guru or state of mind scientist to know that when you are living in the moment, but you and your dog are fully engaged and having the best time. People dont realise that in optimal 'human' weather it is often snake season, or that if the sun is out, your dog's have just as much chance of being sun burned on the face or developing cataracts from UV exposure as their human handlers. So for me an ideal day isnt always sunny (particularly when it gets warmer and the UV is higher. These people's primary jobs pay four times my annual income as a pro dog walker - yet they love their dog so much, they are not actually willing to ensure they have the best where it counts - walks and meat based food. When I run a larger sized pack, I want to see that every dog is participating or at least not too anxious or straying behind the pack etc. Just because your dog is older or smaller and dont want to play doesn't mean that they cant explore or shouldn't feel safe exploring. There are many roles that dogs take in forming a strong pack, and they are just as important as the alpha dog role. 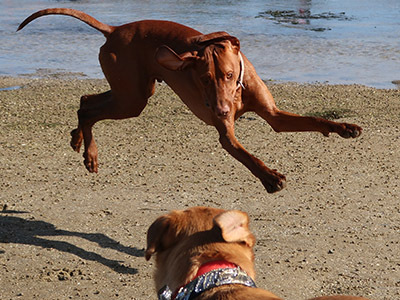 Read more: Having a nice day in the dog park is more than just opening the gate. Before I became a dog walker, I once thought that dogs of the same breed, similar age, similar size were often quite generic in behaviour. But of course there is nothing further from the truth. It is easy to pigeon hole something when you have only seen one or two of it. But with dogs, I am amazed how much not just their personalities show through to be different, but their energy levels and proclivities to play. For instance the first vizsla I regularly walked was Otto. He was the nicest young puppy, full of life and curiosity and play. However as he past year one of his life, and adulthood beckoned he became more withdrawn. Then we began walking Atlas. Atlas was very similar to young Otto, but even more energy. The divergence in personality formation, was that while Otto became quieter, Atlas seemed to become more wild in his plays, but he also became more social and adjusted exactly to the level of play and size of dog he was wanting play from. These vizslas came on our pack walks on different days so they didn't always coincide together, but you could see that as Otto preferred walking slowly with the human handlers and smaller or older dogs, Atlas picked on the biggest fastest dogs to play with - he was all about excitement. Our dog walks make dogs social. world-wide 25,000 humans are killed by dogs. This sounded massively over estimated, but of course it includes all dog related deaths around the planet. In many developing countries dogs are not cared for as they are in the developed nations, and there are a lot more strays roaming the streets, a hungry and non socialised wild domestic dog is obviously much more likely to attack for survival. Even in America there are a lot of dog caused human deaths each year. I won't discuss breed here, because I have quoted statistics from the CDC before and incurred the wrath of owners of those breeds. Regardless of what some dog trainers will tell you, a big powerful unsocial dog is much more likely to kill or injure a human than a small non powerful unsocial dog. But all non social dogs are much more likely to cause dog bites. Dog training can assist dogs overcome phobias and particularly bad (negative behaviour) actions, but they are usually an intervention 'one off' thing, that an owner is supposed to reinforce. Only regular dog walks can train and keep a dog social. Read more: Our dog walks make dogs social. world-wide 25,000 humans are killed by dogs. This statement, originally thought by many to be a US postal service motto, turns out to be a famous Greek saying (2,500 years old, thanks to Herodotus). The difference of course is that current postal guys have full wet weather gear, and don't have to contend with keeping the dog pack together and happy. And of course our reward is having the fun of walking some beautiful dogs. As spring comes around (eventually), many people think how great it would be to be a dog walker, forgetting that we have just come through a very cold and often wet or windy winter. Our job is not a fair weather ONLY job. And the reality is that most dogs don't care. Most dog love routine, but they are often indifferent to the weather (except severe thunderstorms or extreme heat that we don't walk in. And when I say "don't care", my dog sometimes looks at me sideways when we get to the park and there is a howling wind and some rain is falling, but he is ageing, and he is sitting in a nice air conditioned car. The reality is that once he gets into the park its all about exploring and tracking friends or potential food. I definitely didn't go into this job to decrease my wage to a quarter, that was just a side effect. I originally became a pro dog walker, because working in the corporate world, one driven by greed and one where NONE of the major companies I worked for actually cared about the customers, was soul destroying enough. I also quickly realised that I couldn't give my dog enough time (morning off lead walks when they really need them), and there were few people around that were reliable and understanding enough of what dogs needed. That is, the amount of freedom and discipline (on lead time, recall etc) that goes to make a great happy dog. The fact is, that there are very few jobs you can do as rewarding (not financially) and fun, and being responsible as a dog walker. Some owners might assume that its just a walk in the park, but we go in all weather, and we are responsible that the whole pack is having a good time and learning or getting something profound from each of their walks. While dog training is an 'in the moment thing', a few sessions with a pro who then leaves your house, or you leave their premises - it often doesnt 'stick'. And it can never replace regular off lead walks for making and keeping a dog balanced. Proper professional dog walking is teaching a dog to be social EVERY week of its life. If you walk your dogs in Melbourne in 2017 spring, you the owner and your dog might have some effects of hay-fever. In this article we look at common over-the-counter 'human' grade anti -histamines you can use with dogs, and their benefits and side effects. Hayfever effects can come on later in life with humans, and so with dogs. 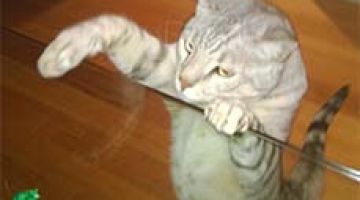 Note itching and skin allergy like symptoms can be the result of organ or gland issues, so its always advisable to see a vet to confirm the cause. One of the glamour oils of the dog industry, and vital for many functions within a dogs body. However if you get the dosage and ratio right (to omega 6 amounts) it can considerably reduce inflammation issues and skin allergies on dogs (around 50%) have very positive reduction in allergy effects. A prep course for owners of dogs who are starting walking in Melbourne. Many owners get a puppy from a shop or a rescue group and quickly realise that their energy when they leave the at home to go to work ends up wrecking much of the house. Dogs chew from boredom and for teething issues mostly, and while walks won't prevent teething, we can recommend Healthy Dog Treats chews to assist natural chewing and great nutrition. 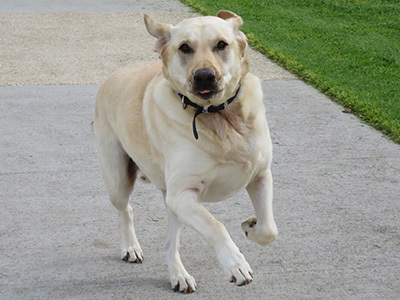 Read more: A prep course for owners of dogs who are starting walking in Melbourne. This is a close up of Kooper the Chihuahua's eye. He is part of our Wednesday pack at the moment. 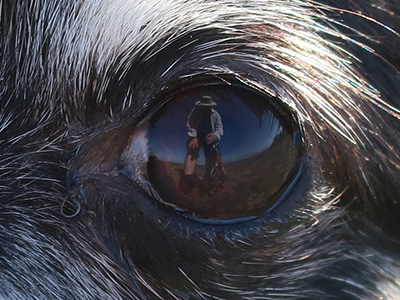 While I think its a good photo, it gives me a launching point to discuss the world form the dogs eye view. Firstly the mechanics of the dog's vision. Mellow yellow, mellow yellow, WHITE (instead of Green) then most of the blues until the indigo violet end that is some kind of grey. That means that if you are wearing a red or orange colour it kind of morphs with every other red orange and yellow into the same light yellow colour making you kind of camouflaged. The lovely green grass that we take for granted your dog sees as WHITE. Isn't that really an amazingly different view of the world? All those colour dog beds and toys we buy our dogs at a premium which they literally can't see as the colour we chose. Their vision is much better than ours at night time, but I am discussing Kooper's eye view during his morning dog walks with the pack in Melbourne. The fast, the furious, the calm and the serene - dog walks for all. The one thing that I wasn't expecting is that pictures of dogs having fun and playing hard together would turn people off so much. 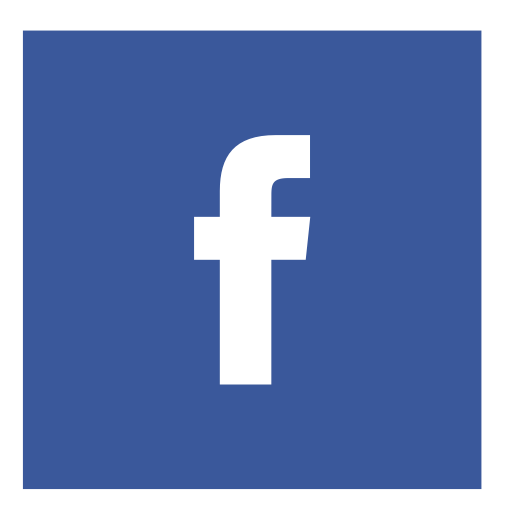 They always get the lowest number of clicks on social media. Its like they get mistaken for a fight. I don't take or post pictures of dog fights. I rarely see dog fights. I personally love dogs playing hard and having the time of their life. Burning the very last of their energy and coming home to rest and be calm, having earned that rest. Its true that not all dogs are up for that. 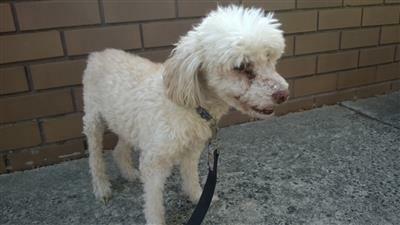 Some dogs are naturally timid, some dogs too young, some too old. Dogs have the same wide spectrum of 'personalities' that their human owners have. Then I got that many walkers are females who can be intimidated or downright scared of high speed fast moving dogs either harming themselves or the humans around them. If you have ever suffered a high speed dog running into you it can be more traumatic than the worst sporting injury that you have ever had. If you expect that to happen, have had it happen, or generally don't get the whole mad dog play, then yes full on play can seem quite scary to quite a few people. That includes men, women and children alike. Read more: The fast, the furious, the calm and the serene - dog walks for all. The joy of autumn Melbourne dog walks, all year round. If you are a regular dog walker in dog parks, you will know this phenomenon. Two times a year: spring and autumn a lot of people visit the park. 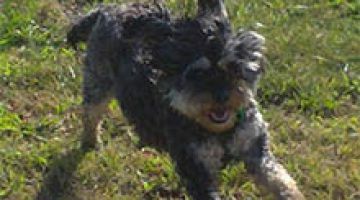 Its nice weather, you want to get outside and the dog park seems like a good idea - and your dog seems to enjoy it. We see a lot of different breed dogs, aged dogs and dogs of varying social skills. Lots of puppies this time of year that are of meek breeds that are learning how to be social, how to enjoy being around random dogs. I love this time of year, why wouldn't you with such good weather. Just a simple shirt of t-shirt and shorts, but yes winter is coming. Soon from experience I know that dog walkers and dog numbers will drastically reduce. The weather will become colder and people will even stop walking their dogs around the block as much. Its easier with lovely mild breeds like cavoodles because they don't complain so much about their lack of exercise and socialisation. Without large barking, boredom or aggression that really triggers the owners into recognising a problem, many owners get away with hibernating their dogs for six months of the year or more. Read more: The joy of autumn Melbourne dog walks, all year round. Why dog pack walks makes for the world's happiest dogs ! Curiously when a person first visits a dog park, they are either scared of seeing so many dogs roaming free, or they get how wonderful it is that so many dogs are just being social. When we onboard a dog into our packs, they often don't start out as the world's most social dog. If they don't regularly get exposure off lead to a variety of new social dogs, they will take time to adjust and understand what it is to be social. A non social dog is the same as a non social person. Lock a person in isolation (including no internet or phone) and they will act anxious the first time they are exposed to a large group of social or non social people. Humans and dogs not socialised, will have to usually choose between fight or flight, because it is very rare (except in some dog 'lounge' breeds) that a dog will have enough self awareness and confidence that it won't try and either attack or run from other dogs that it will see as threats. And if you didn't know, this fight/ flight response is also the most unnatural thing in the world for a dog. Non experts in dog walking and dog socialisation, even within the dog industry, might tell you that socialisation is over rated, or that something else is more important. Its not. Because a balanced dog, a social dog, is happy in physical form and in their head. They will also behave so much better in your home and when you go out. They will be the world's happiest dog - but it takes time, and it takes your commitment to continue their journey. 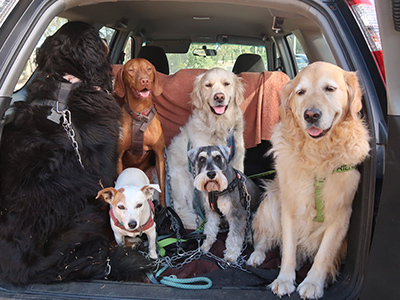 Read more: Why dog pack walks makes for the world's happiest dogs ! In a world of over-crowding, and limited resources its a crying shame that dog parks are almost empty. If you go at peak hour in the mornings before people start work, you will see a few around but how many dogs does that mean are getting to play in off lead dog parks? Altona North / Brooklyn 14,340. Spotswood / South Kingsville 4,325. How many dogs per person in Australia? Dog walking 101 - what do you do when a big dog approaches? The curious thing when you see a new person or dog at a dog park is that their inexperience often shows in palpable anxiety. Both dog and owner share being scared of the unknown and if read wrongly by other dogs (social or otherwise) this can end in dog violence. Mostly it will be from a new dog experiencing a fight or flight reflex, but even social dogs can misinterpret the energy as excitement rather than fear. That is almost always the concern for new highly strong powerful dogs in dog parks. It isnt always their intention to have fights, but sometimes they can get picked on for their size, or their anxiety can be misinterpreted. 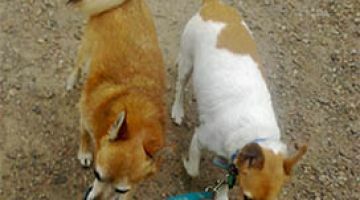 A social pack of dogs mostly knows through experience how to approach a new dog, or how far to let a new dog play with the pack before its intentions are read as being too dominant. 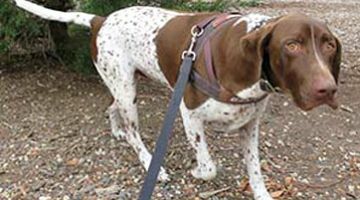 Read more: Dog walking 101 - what do you do when a big dog approaches? In the ideal world all dogs would be walked every day. They would be social friendly and happy. They would be fit and would live as long as their genes could possibly have them live. I know this because I walk dogs for a living, and have seen many incredible transformations. Depending on where the dog starts, its breed, its home life, will depend on how long this transformation takes. THAT plus how many times a week the dog is walked off lead with other dogs in a pack. Even the most social dog will have a very hard time staying social or becoming more social with only one or two off lead dog walks per week. If they are an exceptional dog to start with, or have a very relaxed nature (as some breeds are prone to have) that can help mask any obvio9us signs of distress of boredom etc, but that often pushes down inside of a dog to give them early cancers etc (just like a permanently stressed human). This is the second article about dog longevity of dogs that are sterilised versus intact dogs. 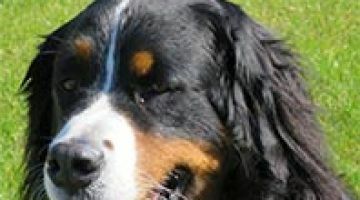 This article focuses on the main causes of death of 24 of the most common dog breeds (all sterilised) and even compares the differences between dog sizes of breeds and the resulting deaths. Out of the NINE pathophysiologic processes ( PP) categories of main dog deaths, the graphs below show for some common breeds (Breed names abbreviated on left column) how these breeds are affected by the two most common causes of death for sterilised dogs. The first two death related columns show the two most common causes of death for sterilised dogs. (immune and nepolastic). The last two columns show the two least common causes of sterilised dog deaths for each breed (traumatic and infectious) - which conversely are the most common for intact dogs. Why de-sexed dogs live 2 yrs longer - critique of data analysis of 70,000 dogs! Our article looks at a science paper that analysed data about the longevity of sterilised versus intact dogs and what they typically die from. 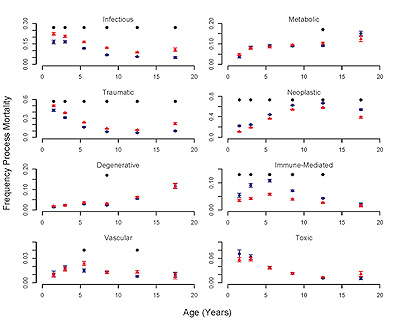 A study in 2013 looked at causes and age of death of approximately 70,000 sterilized and reproductively intact domestic dogs,Canis lupus familiaris. 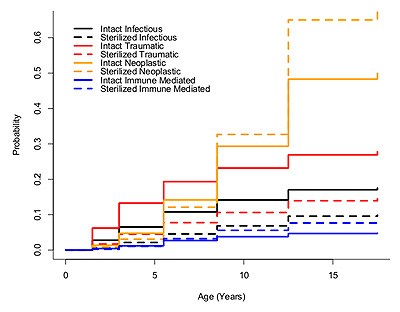 Sterilization was strongly associated with an increase in lifespan by a few years ! sterilization had main death from other causes, such as cancer. Read more: Why de-sexed dogs live 2 yrs longer - critique of data analysis of 70,000 dogs! 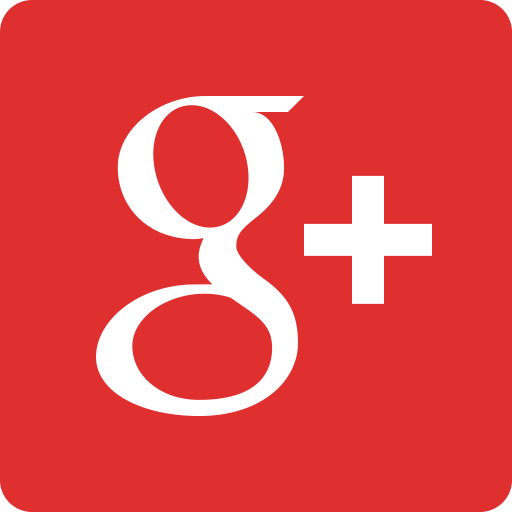 Please excuse if this blog comes off a little preachy. Many dog walkers don't take dogs for that much of a walk, or off lead for any substantial time, so even if you get your 'average' dog walker, your dog not be getting anywhere near the full experience they deserve. With time poor high pressure job owners, it is coming more common place for the only time their dogs get to be out of the house or yard, is for a Saturday or Sunday walk to the local cafe. And this experience can be stressful for dog and owner alike because the dog has been so pent up with wanting go join the pack, they have forgotten their manners, they have forgotten how to be social. For small dogs, this is often excused as 'small dog syndrome' but I assure you that the small dogs I walk don't have such a high level of anxiety as those dogs almost never walked. And Ironically its because the owners haven't walked their dogs a lot, or haven't got them professional dog walkers who get their dog to the point that it can be off lead at dog parks, is the very reason that the 'downtime' that they get to have with their dogs at local cafes can be one of the most stressful days in both the dog and owners lives. And if your dog is a medium to large sized dog that is 'over exuberant' then there is a fair chance that they don't get taken anywhere that there are people. I am a pro dog walker in Melbourne (inner west). I do this because I love dogs and love walking them off lead. I know a lot of dogs don't get adequate walks, and that there are a remarkable number of disparaging sayings about dogs that humans have made which flies in the face of dogs being called man's best friend. One of the most remarkable things dogs teach us is 'living in the moment' and that they still take much of their behaviour cues from their ancestors the wolves. We often see a 'strange' behaviour in the context of human behaviour and think that dogs are weird, but I posit that they are magical creatures that we have barely touched the surface about. The surface and mystique of how deep their understanding of this world really is and what they can teach us. In fact many dog owners know little about their dogs evolution form the wolf, that dogs eat meat, and dogs need to associate with their own kind in packs to be a dog. The unfortunate thing as far as vets and rescue dog groups go is that they have functions very tightly around fixing problems that they know people will understand. VERY FEW vets or rescue dog places will recommend or enforce or encourage anyone to walk their dog, because they know that wont always be met with happiness. If you dont make the client unhappy they will come back or recommend you. I recently read that a uni student was looking for a concise definition of an ideal dog park. 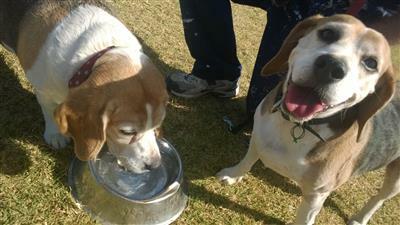 It is situated on a busy 70 km highway and has very poor wire fencing to keep the dogs in. The park has a child's playground very near this path, and the edge of the dog allowed zone. It used to have a fence around it, but that fence was removed to put the responsibility back on the dog owners. A few years ago I heard that Hobson Bay council used to regularly release deadly snakes into a Newport (Victoria Australia) dog park. They did this for years, and collected snakes from a 20 Km radius to concentrate them in an inner west park. 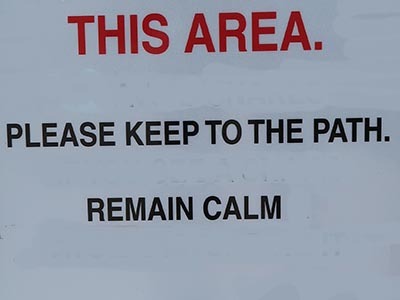 And that this was after it was declared a dog park where dogs and small children play. I thought this was a little negligent to say the least. I am a professional dog walker, and we usually walk early in the morning and try to keep away from bushes ... but surely the council should be held responsible for when their snakes bite our dogs? If they really felt like it they could remove snakes form inner city parks and put up snake deterrence measures such as low level electric fields around perimeters - but that would take due care and effort beyond what most of them beleive they were voted in to do. Maintain the status quo and rate values. My latest concern is that while these deadly and non endangered species are fully protected by the law, the councils make NO effort to remove them systematically from the parks. There are techniques they could use to humanely remove the snakes to very far away from urban environment areas, but perhaps negligence, convenience and smugness remain the stumbling blocks to keeping people and dogs safe? The impact of closing dog parks in Melbourne - Make your council vote count. If you don't live in Melbourne this might seem completely foreign to you, but we have noticed many parks (not just dog parks) being converted into mid rise high density living completely inappropriate to the rest of the neighbourhoods they are springing up in. Every other house in the suburbs of places like Hobson's Bay Council areas, are under Incredibly tight heritage laws. These laws restrict the type of extensions (limiting it to a hunch back on the back of weatherboards) to very restrictive heritage paint colours. Read more: The impact of closing dog parks in Melbourne - Make your council vote count. How to tell someone that their dog is over playing? I knew if I wrote enough blogs I would eventually come to the very difficult stuff in the dog park. In my early years of professional dog walking I was not immune to taking on dogs that didn't respect other dogs enough. Mostly I would walk them on lead, but every now and then when you thought they have been good enough you are tempted to let them off the lead and have to watch them VERY closely. And unfortunately not every owner is experienced or caring enough to know what is an acceptable level of play. Sure when another dog is crying in pane or other people are voicing concern that view about when to separate dogs is easier, but sometimes its more subtle than that. 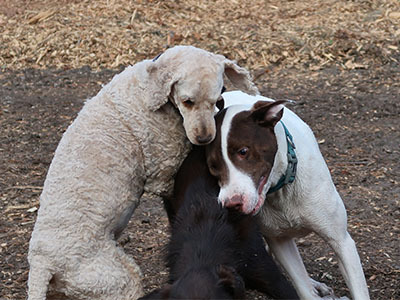 Judging how rough or fully active two dogs or more can play together can be one of the hardest skills and long term judgements people at dog parks will ever make. Read more: How to tell someone that their dog is over playing? If you do anything long enough, most people become expert at some part of the process of what they are doing. The only thing about that concept, is that a person needs enough basic skills mastered, and a desire and motivation to learn and to keep learning. 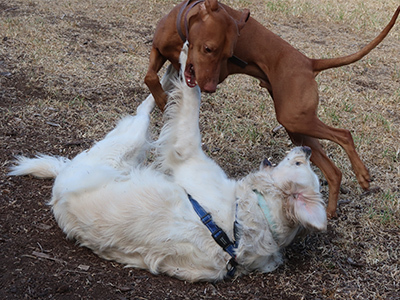 Springtime in the dog park can be wonderful, but as school holidays have arrived, we meet a lot of people in the parks who while well meaning often have little idea of what to do when they get there, or how to let their dog behave. Fortunately most dogs we have met lately who are in this position (very rarely allowed off lead anywhere besides their backyard) are not aggressive, and if anything the opposite. Overly timid. A non social large powerful breed dog without manners or discipline becomes dangerous quickly, however most dogs we have seen lately are more aware of what is happening than their owners. Sometimes we forget how lucky we are with our Melbourne dog parks. Not lucky in that there are too many or that they are built on prime land. Because the truth is that the parks that exists are mostly hard fought for and built on city dumps. Only the economic cost of extracting the garbage seems to keep these parks preserved. But we are lucky perhaps that man dumped garbage so thoughtlessly and now so relatively close to the city, making a loophole for future dog park enjoyment. We are not lucky with our animal protection laws giving more protection to deadly local snakes than the dogs we own, but we are lucky that we can mostly get around the parks in summer with only a few incidents. Most people who walk their dogs regularly at dog parks don't need this, but its amazing how each year even regulars can get it 'wrong'. With spring each year a new crop of dog owners and new dogs turn up at the dog park. It is wonderful that they are getting out, but with a new dog going to the park for the first few times, you will often have socialisation issues. if your dog has great recall, you can mostly relax if a park is well fenced. But a bigger problem is usually caused by a dog that isn't regularly exposed off lead to other dogs can get it in trouble. Most dogs that aren't 100% social will still go into either "fight or flight" syndrome when encountering another dog that is more domineering than it expects. NOTE dominance is not bad, its just an energy. 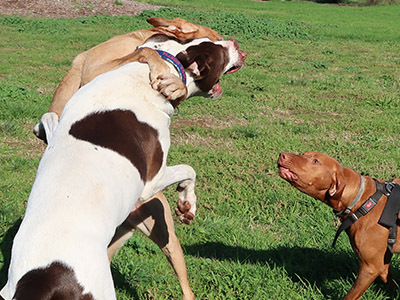 Aggression is bad in a dog park and the anxiety experienced by many non social dogs who don't understand that another dog is being social or wanting to play, can result in a fight. This article is why everyday people walk dogs. I gave up my corporate career and became a dog walker because of dogs. Not the money and fame of course. In my travels I meet many people with many different view about what is perfect dog walking, the best parks and the optimum number of walks per day. You see, when you get into the full swing of walking dogs regularly, its becomes about the details. So many of these people are in a polar opposite view of the dog world from every other owner, it is ridiculous. But that is just people being people. People can squabble over anything, but the one thing that all of the regular dog owners have in common is that they walk their dogs regularly, for the dogs health, and a side benefit of their own mental and physical health. This doesn't make people who walk dogs for leisure or a living perfect, but they are so into understanding what their dog needs, that it become second nature, regardless of the weather. Read more: This article is why everyday people walk dogs. Its easy to get complacent about how far your dog has come. If you daily go to dog parks, you are used to the lifestyle. You are used to all types of weather. True dog behaviour people endure many things for the sake of their dog. Of course the funniest thing is hearing what other regular dog owners think about the other dog owners or the dogs. It is human nature to gossip, but many dog owners don't. If there is a bad (uncontrolled and overly aggressive dog in the park) then that dog and owner will get a reputation and usually ends up being told or voluntarily moving on. A lot of the regular owners will complain about little things that their dogs are doing that they don't like, but compared to a dog that isn't walked, their dogs are saints. It is very unusual for a conscientious owner who gets onto (and stops) any dog issues that affects other dogs or people in the park, to end up with a dog that has a major behavioural issue, and can't be allowed off lead. Read more: Its easy to get complacent about how far your dog has come. How do little dogs on verge of socialisation behave? 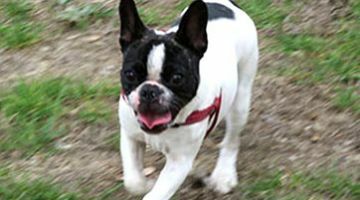 A lot of owners with 'little dogs' fear that their dog will get squashed or eaten on a dog walk, and seemingly use this as an excuse to save time and energy in not walking their dogs. This might seem like a legitimate fear, but if you assume that dogs in a dog park are social and people are inherently responsible, this fear is unfounded. How do you make a little dog non social? Same as for a big dog. Don't expose them to social dogs between 3 and six months of age. Read more: How do little dogs on verge of socialisation behave? 1 TRUE dog park etiquette is NOT a list of what dog's can't do, but a guide to how you want all dogs to become. Yes you carry a lead, carry poo bags, and watch your dog play. This is common sense. But what the signs dont suggest is that you should ideally aim to walk around the dog park in a constant fashion simulating a dog hunt to satisfy a dogs primal needs. The dog sees you as the alpha and bonds with you and sniffs all of the smells along the way. It uses a lot of physical and mental energy doing this and becomes massively satisfied. I would say that mainly people are either ignorant about the basic pack and social nature of dogs requiring them to have daily off lead dog contact, or they dont care. The vast majority of clients I get seem to say that they are mostly driven by guilt that their dog looks sad or doesn't get out enough. They have virtually no idea that in such a short space of time that we take their dogs to the park, that the dog is getting more health and mental benefits than they could ever imagine. You will see in many feeds from America that when a volunteer dog recue organisation are given dogs or they pick them up off the street, that these dogs are vaccinated, given surgery, de-sexed or whatever the dog needs to bring it back to health. Basic necessary things. These are not like human cosmetic surgery 'needs', this is legitimate life and death or basic health needs. 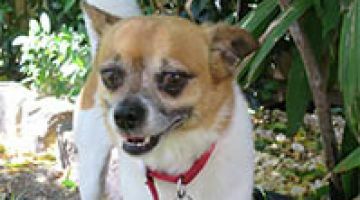 You may also know that when you pick these dogs up, that a fair proportion of the costs are transferred to the new owner. which only seems fair right? The issue is that once you own a dog, you are fully responsible for any vaccinations and expensive surgeries. I am not saying that vets do not deserve to make money, however it seems that their fees have vastly outstripped the money that owners have to look after their dogs in many cases. Sure I could talk about the location as anywhere in Australia, but I walk dogs in Melbourne, and the majority of Australian's live in capital cities, so its kind of apt for almost everyone. A lot of non dog owners or dog lovers will think that a dog park is too special to have. Too much a minority thing. too much a latte sipping exclusive nice to have and service that not everyone will get use of. And that is because most people don't walk their dog regularly off lead. With one in four houses in Australia having a dog, this kind of facility should be more common place. And the irony of course is that a dog park, is just a place where dogs are allowed off lead. Our local council does not prohibit almost any other kind of activity in these places, meaning that often we get people who don't like dogs or who are scared of dogs, complaining in 'dog parks' that there are dogs around off lead. Winter dog walks and learning to love walking your dog. Do you like the idea of GM made war dogs with double the muscle mass? Winter dog walking, how to do it, avoid it, get someone else to do it. The simple joy and fun of dogs having a good time in the park. What progress can you expect with one walk per week? A client asked if their dog was happy on walks. 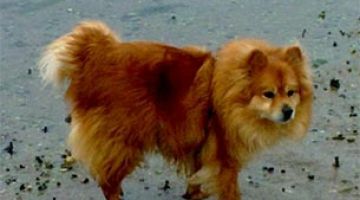 Dogs water needs differ in summer, winter, autumn and spring. Am I the only dog person who didnt like the superbowl 50 dachshund advert? The shocking truth about dogs, why they get dirty ! Why dont dogs want to come back from 24 pet sitting stays? Why walk dogs at all? Especially those that are sick or powerful. Stop Liking & sharing pictures of pets dressed up - walk them instead. WHAT is your NEW YEARS dog walking resolution? 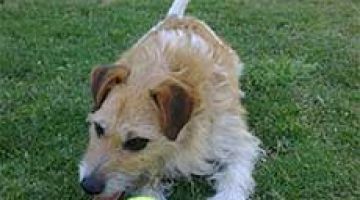 Why choose a 24 hour pet sitting option for your dog while on holiday from Melbourne? The most dangerous thing you will find in most dog parks, are the owners. Its not a competition, but what time do you get up to walk your dog? The Melbourne Dog Lovers show a success for Healthy Dog Treats and rescue dogs! Dogs and Anzacs day celebrations, should dogs go to war?